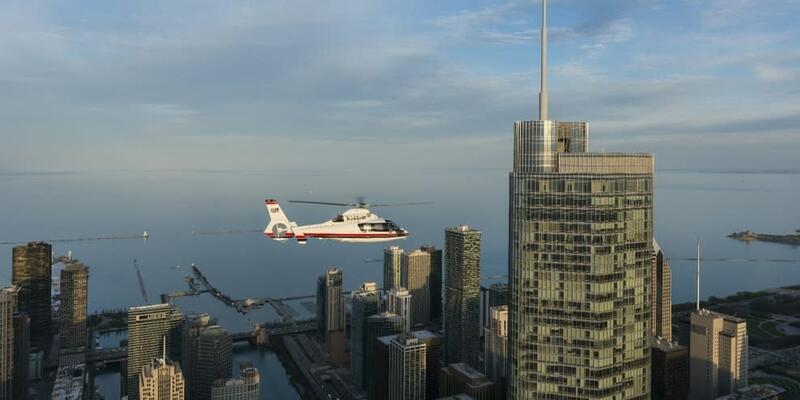 Why spend hours by foot when you can kiss the sky and skim the beautiful skylines of Chicago's visually exploding, iconic landmarks from a private or shared tour helicopter? Take in the spectacular sights of the city and learn the fascinating history of Chicago’s famous landmarks, including: Willis (Sears) Towers, Millennium Park, the Mag Mile, Wrigley Field, Soldier Field, Museum Campus, and more! Tours begin and end at Vertiport Chicago, a world-class heliport conveniently located in downtown Chicago. 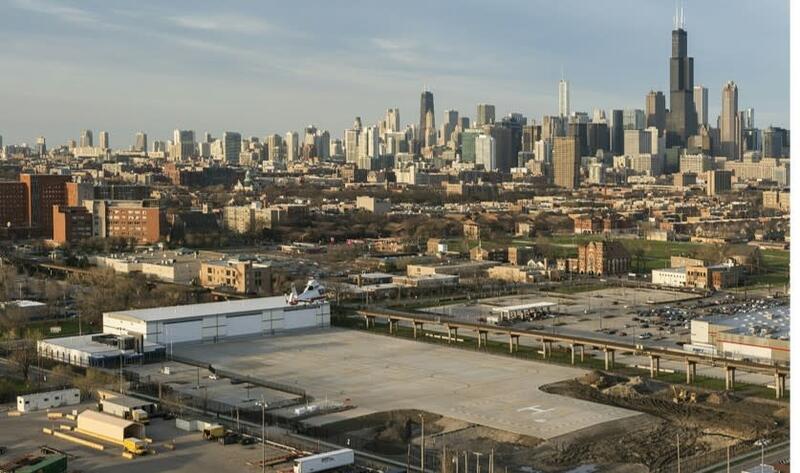 Vertiport Chicago offers the best in class facilities, access to the city, safety, security, service, and amenities. 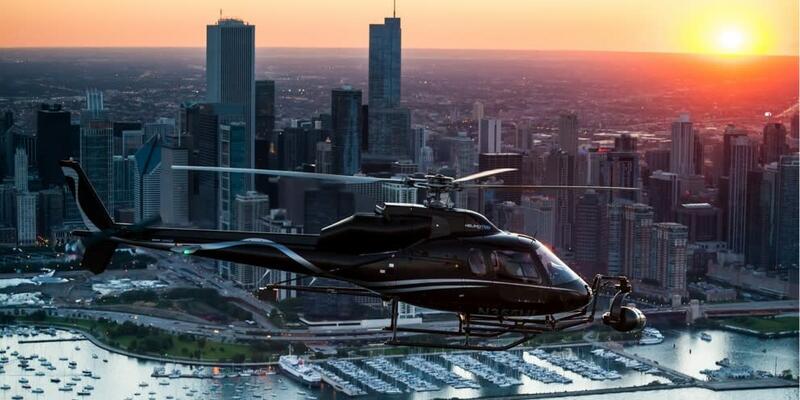 Vertiport Chicago VIP Helicopter Tours sends you up in style with the Bell 206 or the Eurocopter EC130 – designed to be one of the quietest helicopters in its class. Your highly experienced pilots are FAA certified and dedicated to your comfort and enjoyment while showing you Chicago’s incredible skyline from above. Day or night tours are both offered. Monday-Sunday 9am-10:30pm. It’s an experience you will never forget! Operated by HELIMOTION and Rotor Zen.